Welcome to see our news for Johanson at Stockholm Furniture Fair in February, the 5th to 9th. Johanson will exhibit novelties designed by Erin Ruby, Färg & Blanche and Böttcher & Kayser. Come by to stand A11:18. We are happy to announce that we will launch three new designs with three exciting brands at the international furniture fair imm cologne next week. CION for conmoto (hall 3.2, stand D-39), 133 for freistil by Rolf Benz (hall 2.2, stand D-8, F-7) and LOWLANDS for Ligne Roset (hall 11.3, stand O-20, P-29). Come by and discover our novelties! Please welcome two new products that we designed for Danish brand Gejst - our wall shelf NIVO and the cutting board GALET with ceramic bowls. New members of our ROB family for Johanson Design will be launched at Stockholm Furniture Fair from February 06-10 2018. Discover the news at stand A20.18. Our new CALIBRE side tables are now part of the WON collection lounged at imm Furniture Fair Cologne in January. CALIBRE. Quiet yet at full volume. Basic shape of the cylinder, with each part proportioned according to its function. Design means everyday culture. It helps us to enjoy and simplify life. We are fascinated by the process that starts with an idea, becomes substance and hopefully results in a long and pleasurable use for its qualities. That’s how we understand reasonability and sustainability. Böttcher & Kayser is a Berlin-based studio working in the fields of consumer product, furniture, lighting and interior design. It was founded in 2007 and is running today by Moritz Böttcher and Nikolaus Kayser. The studio is working with international brands such as ANTA, Böwer, conmoto, freistil by Rolf Benz, Gejst, Johanson, Ligne Roset, Mater, Normann Copenhagen, Prostoria, RIG-TIG, Schönbuch, Stelton, Vertigo Bird, WON and Zero. While still in their studies they won the iF design award and red dot product design awards. 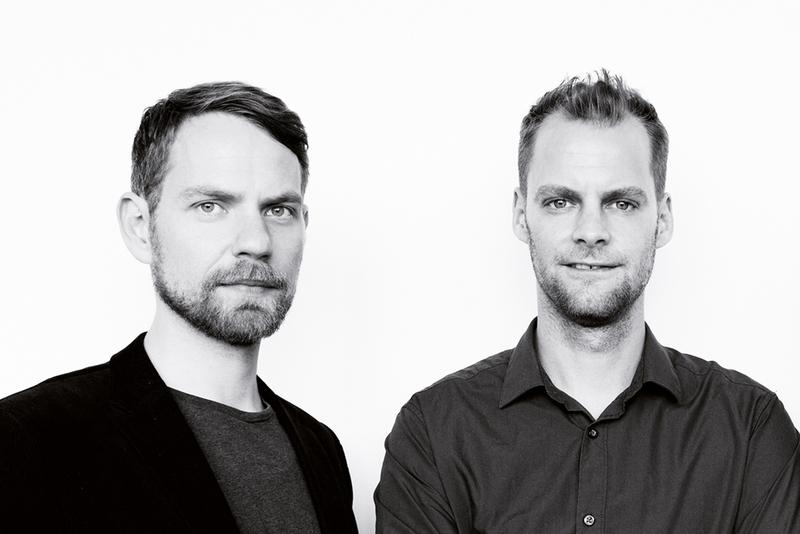 Since founding the studio they were honoured with some of the most prestigious awards, such as several red dot and iF design awards, the Interior Innovation Award and the red dot „best of the best“. Their projects have been published in books and magazines around the world. Moritz Böttcher (1978) graduated as a industrial designer at the University of Applied Sciences and Arts in Hannover in cooperation with Dornbracht. He worked at npk industrial design in Hamburg and the Netherlands, Barskidesign in Frankfurt and from 2006 to 2008 for Werner Aisslinger in Berlin. Nikolaus Kayser (1978) is a qualified carpenter and studied industrial design at the Muthesius Kunsthochschule in Kiel. After his diploma he worked for three years as a designer at wiege Entwicklungsgesellschaft. His focus there was in the field of high-quality office furniture, especially on chairs for the German manufacture Wilkhahn. Andreas Körner, Rudi Schmutz and Pascale Sopha.